Bee hives are alive with activity. Have you ever wondered about the life of a bee? How is a bee colony organized? How do bees construct their hives? How do bees make honey? What is life like for a bee? Read on to find out. Bees not only provide us with delicious and nutritious honey, but they are crucial to the existence of life on earth. Bees (along with some birds, bats, and insects) are needed to pollinate the flowers of many of the fruits, nuts, and vegetables humans rely on for food. Without bees, food would be in very short supply. Honey bees also provide us with honey. They produce this honey to use as their food source in the winter. The average honeybee colony can make 60 pounds (27 kilograms) of honey per year. A single honey bee worker produces about 1/12 of a teaspoon of honey in her lifetime. It takes many thousands of honeybees to produce one pound of honey. How Is a Honey Bee Hive Organized? Queen Bee: The hive is organized around the queen bee. Several queen bees will emerge at one time, and a battle ensues among them. Only one queen bee will survive this battle because a hive can have only one queen bee. She is the only bee that can reproduce. She mates with drones during her one mating flight and stores the sperm within her body. She then lays thousands of eggs every day, perhaps millions over her three- to four-year life span. Brood: The beehive will also contain brood—eggs, larvae, and pupae. Hatched eggs are larvae. The larvae spin a cocoon for themselves and are then known as pupae. The pupae undergo metamorphoses and emerge from the cocoon as an adult bee. 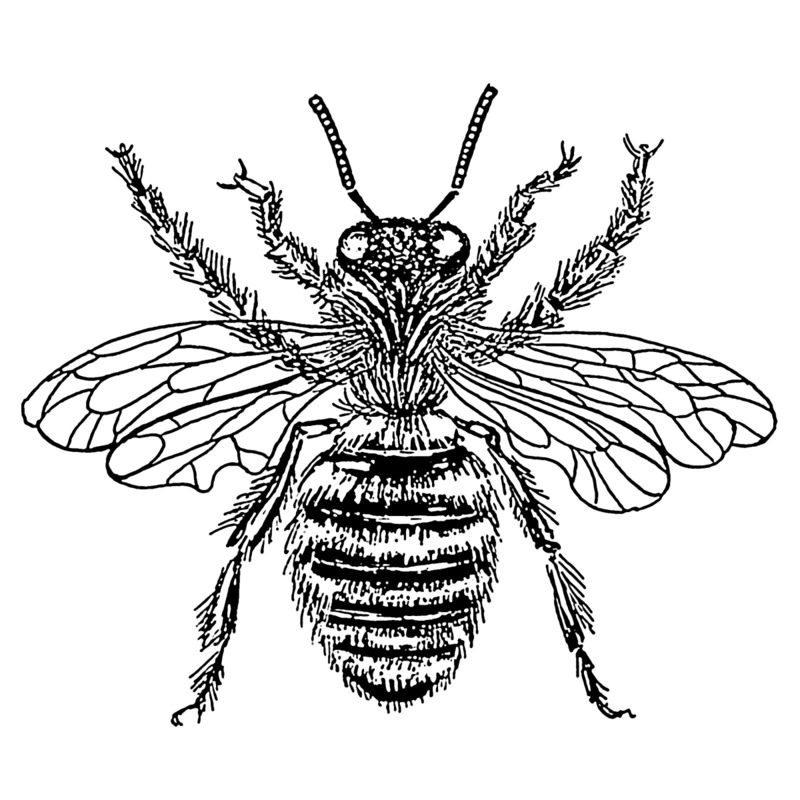 Drone Bees: Drones are male bees. Their main function is to fertilize the young queen bee. 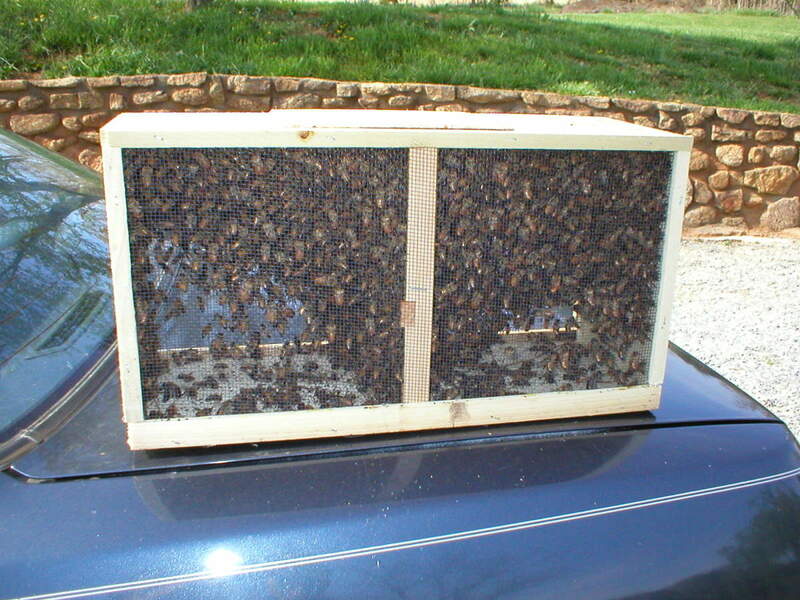 They can also help with heating and cooling the hive—bees shiver to produce heat and flap their wings to cool the hive. Drones develop from unfertilized eggs. They will feed themselves directly from honey cells in the hive. When food is scarce, drones will be driven from the hive and left to die. Worker Bees: Female bees do virtually all the work of the hive. During their short lives, workers keep busy—thus the expression "busy bees." 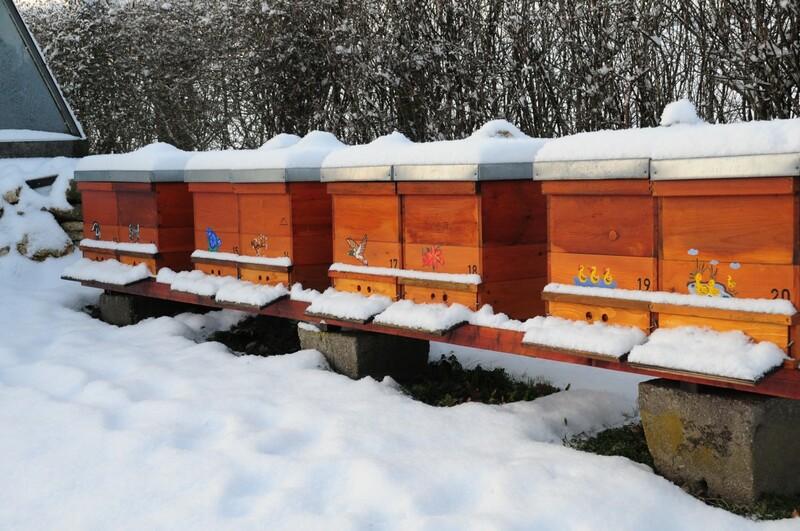 Worker bees live only five to six weeks in summer, but for about five months in winter. Worker bees begin their lives as "house bees," which stay within the hive, and later become field bees, which go out to forage for nectar, pollen, and water to feed the hive population. The youngest bees clean the cells and tend to the brood. They produce wax from glands on their body and shape it into the hexagon-shaped cells that will be used for the eggs laid by the queen and for honeycombs. They seal the cells of the honeycombs with more wax after the nectar has evaporated enough to have become honey. Towards the end of their time as worker bees, they ventilate, guard, and defend the hive. Care for the queen, build the hive, forage for nectar, make honey, tend the brood, heat and cool the hive, and defend the hive. Inseminate the Queen, and heat and cool the hive. Note: There may be some overlap of hive duties depending on the needs of the hive. How Do Bees Build a Beehive? Wild honey bees make hives in rock crevices, hollow trees, and other areas—sometimes even an old box or inside the walls of a building. 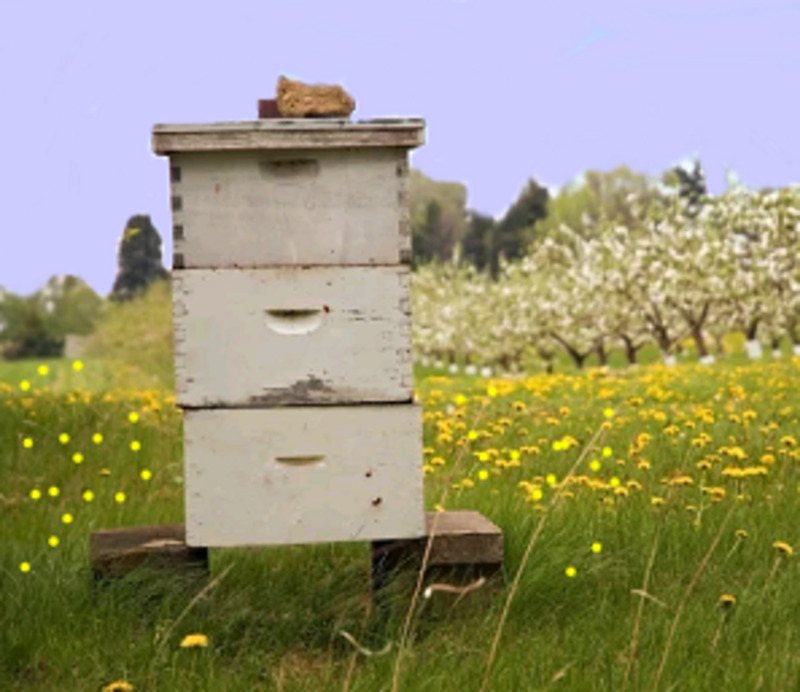 Domesticated honeybees are brought to a hive constructed by a beekeeper. 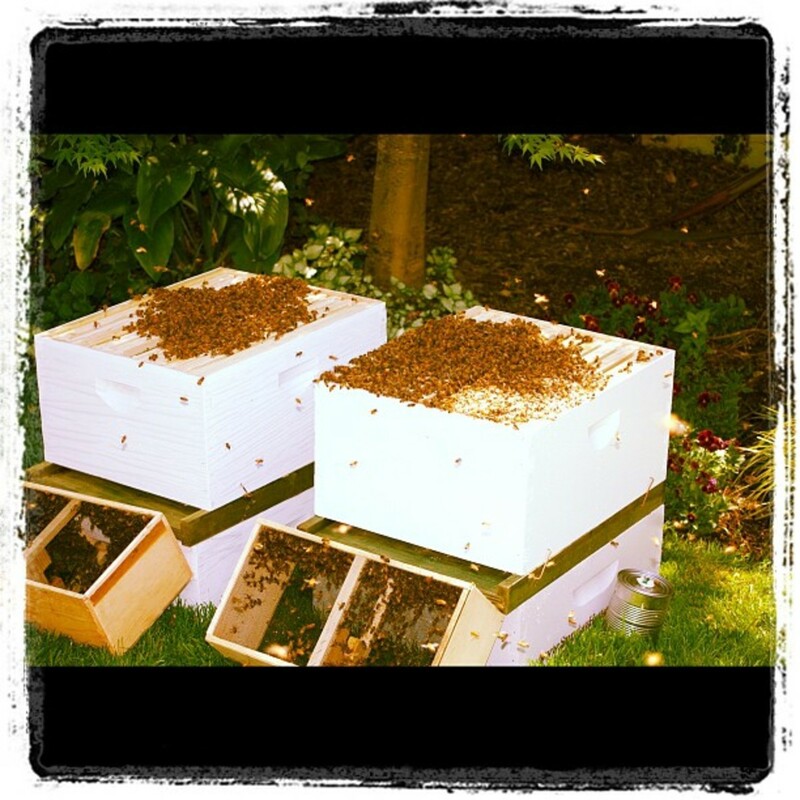 Artificial hives are usually square or rectangular in shape and are made of untreated wood. Honey bees construct honeycombs within the enclosure (natural or artificial) they have selected for their hive. The honeycombs are composed of six-sided cells. The hexagon shape is optimal because it requires less wax and can hold more honey. The cells are used to store honey, nectar, and brood. The worker bees convert the sugar content of honey into wax in a specific wax-producing gland in their bodies. The wax then oozes through the bee’s pores, producing tiny flakes of wax on the bee’s abdomen. The worker bees chew these pieces of wax until they become soft and moldable, and then they form the wax into the cells of a honeycomb. Worker bees produce honey from nectar that they gather from flowers. 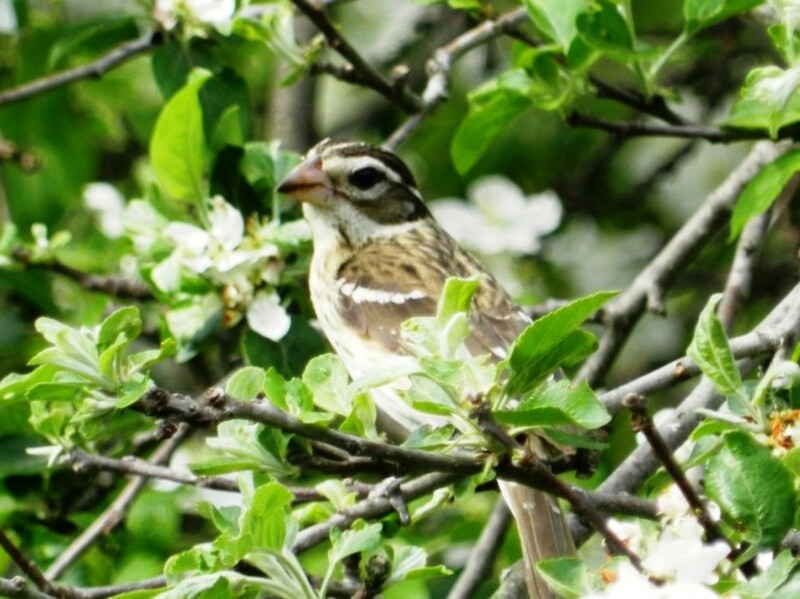 Pollination is a by-product of their quest for nectar. As they fly from flower to flower, a bit of pollen sticks to their bodies and then rubs off at the next flower they visit. This transfer of pollen from flower to flower is called pollination. The nectar is extracted from flowers with the bee’s straw-like proboscis. The bee drinks the liquid nectar and stores it in a special stomach called the honey stomach. The bee continues to forage, visiting hundreds of flowers, until its honey stomach is full. When a worker bee has a full belly, she returns to the hive and regurgitates the already modified nectar for the hive bees. The hive bees ingest the sugary offering and further break down the sugars. They then regurgitate the inverted nectar into a cell of the honeycomb, and it is allowed to dry until the water content reaches about 14-18%. The cell is then capped over with a thin layer of wax to seal it until the bees need it (or the beekeeper collects it). Nectar contains about 80% water, along with complex sugars. Left in its natural state, nectar would ferment. In order to store nectar, bees convert the nectar into honey. The flavor, smell, and appearance of honey are determined by the kind of flowers visited by the bees that create it. If the flowers are within 30 yards, the bee will do a “round dance.” The bee flies around in a circle and when she’s made a complete circuit, she reverses direction and flies around again. She continues to reverse direction after each circuit. This dance tells the other bees that the flowers are nearby. 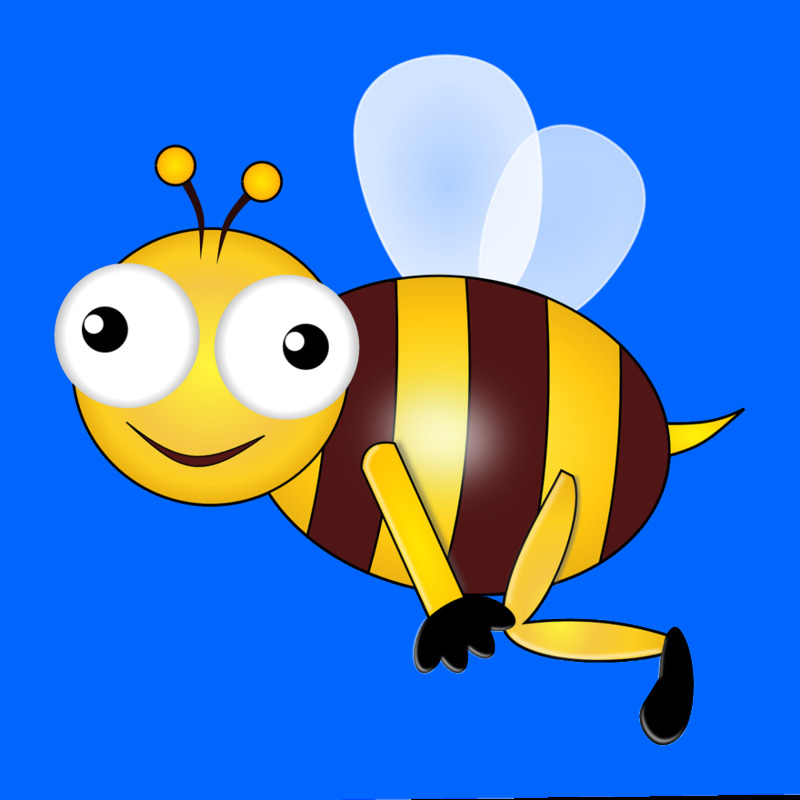 The other bees also pick up the scent of the flowers from the dancing bee, so they know the scent of the flower they need to look for. If the source is more than 30 yards away, the bee does the “Waggle Dance.” First she flies in a straight line while vibrating her abdomen from side to side. When she finishes that straight run, she turns to the left, flies around in a half circle back to the beginning of the straight line; then she flies forward again doing the waggle dance. When she gets to the top this time, she turns right, makes a half circle and comes back to the beginning. She will repeat this pattern several times. If it’s a rich food source, she is very motivated to get the attention of the other bees, so she’ll waggle like crazy. When she has their attention, she’ll feed them some of the nectar she’s found. But now comes the most remarkable part. If the sun is straight ahead, and the food source is directly in front of the hive, the waggle line will be straight up the face of the comb. If the food source is behind the hive, she dances down the face of the comb. But what if the food source isn’t in a straight line in front or behind the hive? The bees have it figured out. The bee will adjust the waggle to match the number of degrees the source is from the sun. For instance, if the food source is 60 degrees to the left of the sun, the bee will waggle 60 degrees to the left of vertical. If other bees discover the same source later on in the day, the dance may change direction and degrees to account for the sun’s movement. The angle is always relative to the sun. In the fall of 2006, beekeepers in North America began reporting the disappearances of entire colonies of bees, seemingly overnight. In the U.S. alone, thousands of bee colonies were lost to colony collapse disorder (CCD). Theories about the causes emerged almost as quickly as the bees disappeared. No single cause or definitive answer has yet been identified. Most researchers expect the answer to lie in a combination of contributing factors. The theories about the causes of Colony Collapse Disorder range from climate change, the practices of beekeepers, pesticide use, pathogens, parasites, and environmental toxins, genetically modified crops, and even electro-magnetic radiation (from cell phones). Food-safety experts have found that some honey isn't actually honey, but a concoction of corn or rice syrup, malt sweeteners or "jiggery" (cheap, unrefined sugar), plus a small amount of genuine honey. Artificial honey is used to produce many “honey-flavored" items such as candy, baked goods, cereal, or tea. Adulterated honey, often honey imported from China, may be not only fake honey, but may also contain toxins, heavy metals, and other impurities. Pure honey is amber colored with a subtle scent of flowers; artificial honey has a pungent chemical odor or a fruity smell. Buy honey only from reputable sources. Read the label. It should say 100% honey and nothing else. A 3,000-year-old honeycomb found in the tombs of the pharaohs was perfectly edible. 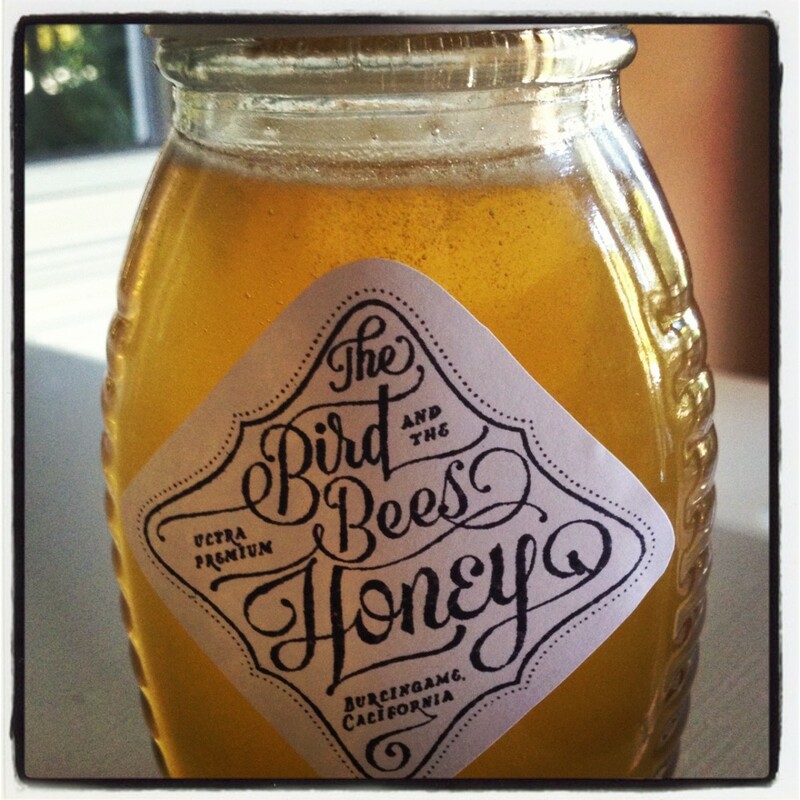 A hive will typically make 2 ½ times more honey than it needs. A beekeeper only takes the excess honey, leaving the rest for the bees. Occasionally, when hives become overcrowded, the queen and some of the bees from the hive will “swarm.” They abandon the beehive and create a new one elsewhere. A new queen will hatch in the old hive. Bees fly about 55,000 miles—1 ½ times around the world—to make just one pound of honey. This award-winning book is a treasure trove of information about bees for kids and adults. The book includes information about the evolution of bees, bee biology and behavior, beekeeping, bee-friendly gardening, and more. Virtually every page includes beautiful illustrations and detailed diagrams. I like it as a coffee table book, because I can browse through the short easy-to-read chapters. If you are interested in bees, you will love this book too. 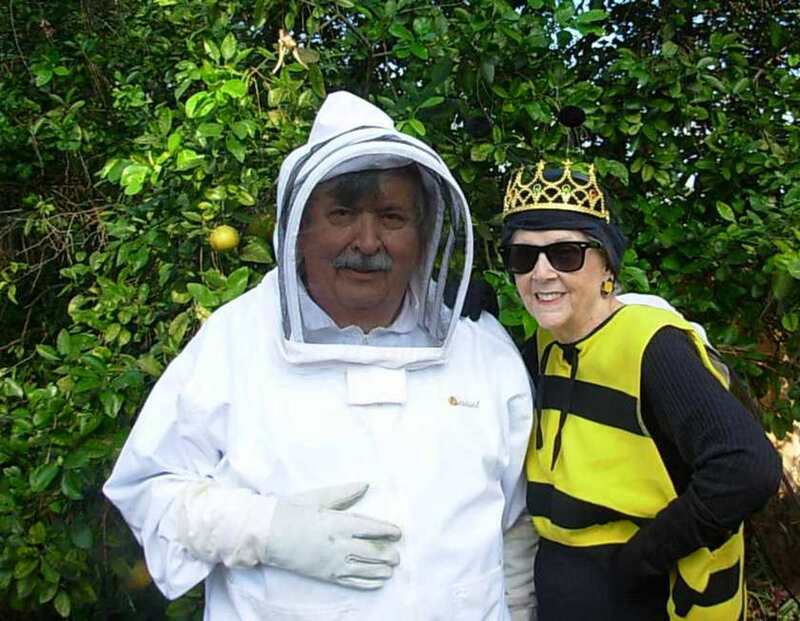 I wish to thank Jim Arnold and Linda Fessel, beekeepers and purveyors of “Jim and Linda’s Natural Honey,” for their editorial and research assistance. I also wish to thank Jim Arnold for permission to use his photographs. Please share your thoughts about bees and honey. If you have any questions, I'd be pleased to answer them. Lois Levin: Thank you for this information. I checked it out and I will correct the article. We know why bees swarm: when a hive become overcrowded, the Queen Bee leads approximately 1/3 of the bees out to find a new location to build a hive. Beekeepers try to anticipate this and add either remove honey or add more space for comb to their hives, to keep bees from swarming. We hate to lose our girls! 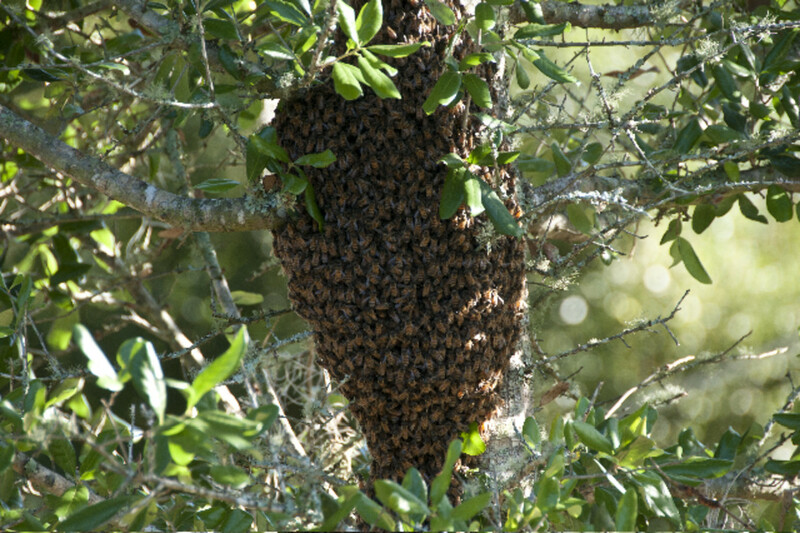 But swarms are not dangerous: the bees are usually quite docile because they have no honey or brood (eggs) to protect. You are right. I see where my writing was not clear. . I will correct it. Thanks for letting me know. Hey not sure this is a typo but your chart breaking down the caste system in a hive to me looks like the queen only mates with one drone. She actually mates with 10-20 drones to ensure genetic diversity. She does only mate during her mating flights usually during the first 3 weeks of her life. It is true the drone only mates once because he dies after the act. My friends are the beekeepers and they taught me to admire this magnificent little creatures. Tank you for your comment. I love them. I just wish we had more of them around here. I see more native bees, than honey bees. Your top photo reminded me of a swarm that was on one of my mom's trees a few years back. I just never realized how amazing bees are until I researched this hub. I didn't know that they danced INSIDE the hive. Sniff for bombs. I guess bees do have a really good sense of smell. I love learning things from my readers. Great job, Cathy. You had a lot of information and it was well organized and easy to read. The waggle dance is even more remarkable in that it is being done in the complete darkness of the hive! Scientists are learning more and more about bees every day. Some are even being trained to sniff out bombs! How about that for another hubpage? Thanks for the info about drones. I'll correct my statement. I assume the picture of a swarm that you are referring to is the first picture. I'll change the title and caption. Thanks for our comment. My friends would give me a jar of honey from their backyard beekeeping every year and it is the best honey I ever tasted. Nothing like 'generic honey." Look around for local beekeepers. they often sell honey. Wow, the bees sure do work hard. :) I think people who keep their own bees are fantastic and they can have their own honey too! There are a lot of generic type of honeys on the market today which is very annoying. Great hub. Voted up. So thrilled to have a beekeeper approve. I hope I got everything right. My friends are beekeepers and they got me interested in the topic. Dees are the most amazing creatures. What a good intoduction to bees and honey. We keep bees and they really amazingly interesting. Thank you for your up vote. 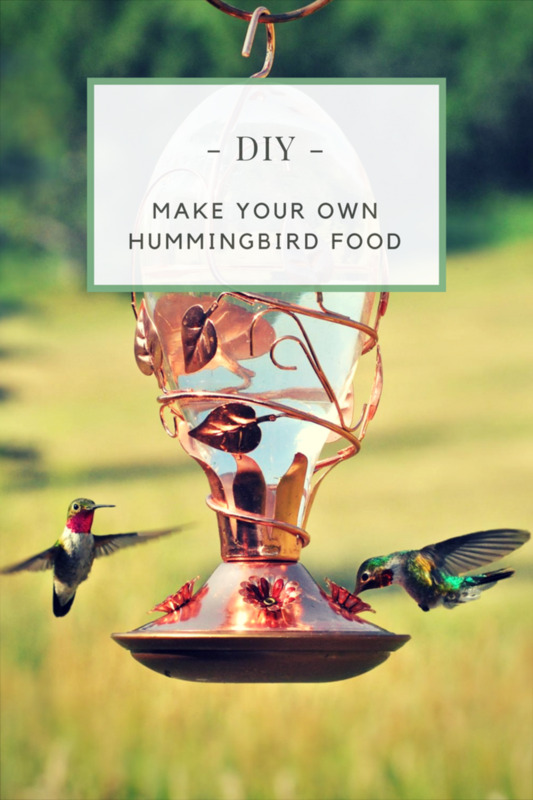 I'm so pleased that I could provide new information and that you liked my hub especially since you have done such an amazing job on your own hub about honey bees. I never read other hubs on the topic until I write my own so as not to be influenced or intimidated. A single honey bee worker produces about 1/12th of a teaspoon of honey in her lifetime and it takes many thousands of honeybees to produce one pound of honey is a new information for me. Nice hub, and voted up.